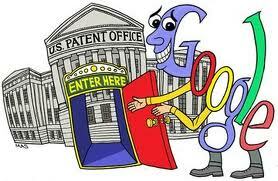 Google is in real trouble with patents, and it could threaten the whole company. This has been viewed as a background issue which they can make disappear, but after looking at the suits in detail, I don’t think they can. It’s a giant problem – largely of their own making. In a number of previous posts I have written about how much I like the Android OS compared to iOS, and I have covered some other reasons why I don’t favour Apple particularly. Of course Google itself is not blameless, and their early motto ‘don’t be evil’ seems to have morphed into ‘don’t be very evil’ or don’t be visibly evil’. I remain undecided as to which corporation behaves most badly, and will cover the topic in more detail in a future post, but in this section I will look at Google’s behaviour on patents and copyrights, and why they are heading into such a world of trouble in the world of Intellectual property (IP). The proposed Motorola acquisition, as I will explain below, doesn’t just add to their armoury, it propels them into a full scale war that they might not win, with opponents who currently have much better weapons. Up front I want to acknowledge the excellent site Foss Patents, which provides incredibly detailed and timely analysis of these goings on. This set of posts attempts to summarise and simplify the issues. Background. Just as you vaguely know that Google has more information on you than the government, (which, unlike the government, it sells for profit), you may also vaguely know of Google’s alleged disregard for other people’s IP. The two main forms of IP in the software business (other than trademark infringement), are patents and copyright. The difference, put simply, is that the former covers ideas and concepts (like the telephone – Bell’s famous patent), and the latter covers actual content like code in a computer program, or the content of a novel. Google has already hit copyright controversy with its mass digitizing of printed works, and a reported disregard for copyright in that process (until it was forced to come to an agreement with authors and publishers), set a trend for its subsequent activities in the software world. 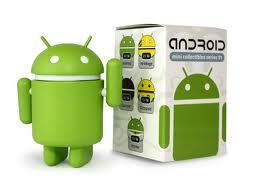 The acquisition by Google of Android in 2005 moved them into a new field, that of operating system (OS) development. OS development is way more complex than applications or applets, and involves numerous complex sub-systems, even in a phone. There are around 10 million lines of code in Android for example, about the same as in Microsoft’s advanced NT operating system of the late ’90s. Only giant specialists, like Microsoft and IBM can afford to create and maintain proprietary operating systems. Other than the open-source Linux, almost all other general purpose OS’s like Symbian have died, due to the expense and difficulty of maintaining them. This was something Google found as they developed Android from 2005 to 2008 (when they first released it in phones). To solve this problem, using their prior methods it seems they just appropriated code and inventions where they saw fit. Now the chickens are coming home to roost, and they have effectively taken on four of the largest and most serious opponents in the proprietary and the Open Systems world. 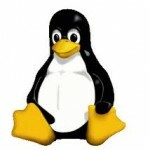 Two of them, Microsoft and Linux, pose a serious threat, and I’ll cover them in this post. Two more pose a potentially lethal threat, and they will be covered in the next post. Microsoft. MS are the gorilla in the personal operating system world, and have amassed a portfolio of 18,000 patents. To put this in perspective, Google has only patented around 600 of its own inventions so far, although they have recently been buying up external patents (almost at random – see later) . By comparison, MS registered 700 patents in the last 4 months. They, like Apple, are going for the Android vendors, not Google itself, since in principle, Google receives no revenue for the OS. They currently are suing Motorola for infringement of 19 patents, including areas like syncing e-mail, calendar, and contacts, and notifying applications about changes in signal strength and battery power. This case is going badly for Mororola by the way, casting doubt on the usefulness of their vaunted patent portfolio to Google. All the acquisition of Moto has done is to transfer Google into being the direct target of Microsoft, not just a bystander. If Moto was unable to win before, it seems unlikely they’ll have any better chance of winning by being part of Google. Microsoft’s strategy is to gain licensing deals with vendors, firstly to make revenue , and secondly to make the Android OS appear expensive to vendors, pushing them towards their own Windows Phone 7 OS. MS have already won a licensing deal with HTC, one of the largest smartphone vendors in the world, receiving an alleged $5 royalty per Android phone shipped. HTC allegedly makes more profit for MS than their own phone OS does! MS is going after Samsung as well as many other Android vendors and has signed 5 licensing deals so far. By the way, the recent spat between MS and Google over the Nortel patents (if you didn’t follow it, ignore this) was a red herring – any joint patents held by Google with MS would not help Google in their legal battles with MS, so they didn’t play on the acquisition. Linux. Underneath all the fancy smartphone stuff that Apple and MS say they stole, Google uses the non-fancy open systems operating system called Linux. 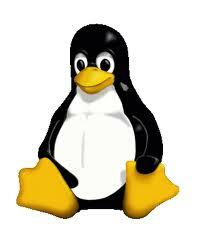 Linux is a very powerful platform that runs on systems from the smallest appliance to huge mainframes. It’s mature and it’s open, and it’s free. However the free part only applies if you have a license, which for the Linux they used is the General Public License V2 (or GPLv2). The key requirement for this license is that all code built on the open-source Linux base, must itself be made open-source. 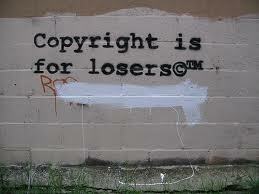 There are thousands of contributors of IP to Linux, who forego their IP rights, as long as the licence is adhered to. Initially Google made Android open-source, and so appeared to comply with the spirit, if not the technical letter of GPL v2. However, for the recent Honeycomb tablet version of Android, as well as for parts of previous versions, to quote Foss: “rampant non-compliance with the source code disclosure requirement of the GPLv2 (the license under which Linux is published) — especially but not only in connection with Honeycomb — has technically resulted in a loss of most vendors’ right to distribute Linux“. Incredibly, this loss of rights is irredeemable, and Google can only rectify the situation now by negotiating individually with the thousands of organisations that contributed code. Those organisations don’t have to play ball – and this is now potentially a commercial IP situation. Who are some of the parties that contributed code? Oh, Oracle, IBM, Microsoft and many many others. 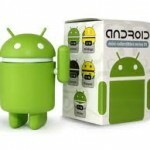 They can all go after Android, since Google turned a free OS into one with huge IP burdens. Summary. You might think this is bad enough. But these are the relatively minor problems. Google also faces two more challengers; two of the hardest, most aggressive IP owners in the business: Apple, and Oracle. Three years ago, Google’s main business was search engines. Now, after spending $12.5Bn on Motorola, and a further undisclosed sum on 1029 IBM patents (more next post on this), they have made themselves into an operating system vendor and a hardware supplier, and pitched themselves into a game they barely understand, with huge hairy gorillas, that are circling them eyeing the attractive pieces to start with. Google’s original lack of care with IP was easy when they just dealt with p*ssed off authors, (or naked sunbathers). Now they have bitten off more than they can chew – and it could imperil the company, as we’ll see in the next post.